One of the best things about writing this blog is getting inspiration by looking at BuyTheCase.net vendor pages. This week I am blogging about Snack Factory Pretzel Crisps. I went to their official website and found Pretzel Pairings. This is a whole page of incredible appetizers sitting on a Pretzel Crisps. Looks like a challenge from Top Chef! They are so perfect for a New Years Eve party. There are Pico de Gallo- woah! and Olive You Tapenade and my personal favorite Crabby Crisps. If you are looking for unique appetizers, check out these recipes. 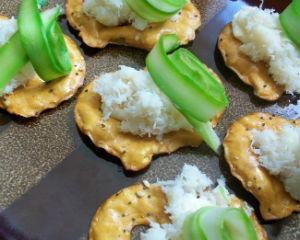 And check out a case of Pretzel Crisps from BuyTheCase.net! I was doing some research on Nongshim to see what I could blog about. I went to their website and came across a link for Chef’s Best Award. According to the link “The “Chefs Best Award of 2003-2011 was awarded to Nongshim by American Culinary Institute for Nongshim noodle’s superior taste, appearance, texture and flavor.” I thought ” how awesome for them” Premade noodle dinners and soups get a bad rap for being unhealthy and not tasting good. Well Nongshimhas proved that rap wrong with their delicious “world-famous soup base and award-winning noodles that are produced fresh every day.” For more Information about Chefsbest visit www.chefsbest.org or for more information about Nongshim visit www.nongshimusa.com. But to buy a case of Nongshim noodles visit BuyTheCase.net!!! BuyTheCase.net has produce now!! Well not fresh produce, but products you would normally find in the produce aisle like Polaner Chopped Garlic and Chatham Village Cheese & Garlic Croutons. For your holiday dinner shopping, we now carry Concord Foods Hollandaise Sauce. So delicious on asparagus! And who couldn’t use a case of Old Tyme Cotton Candy for a carnival fundraiser for your school or organization, perfect! For more produce aisle products, go to our website, BuyTheCase.net. When you’re in search of your favorite kosher foods, nobody likes to waste time driving from store to store. At BuyTheCase.net, we have a large variety of shelf-stable kosher brands and products and we deliver right to your door. 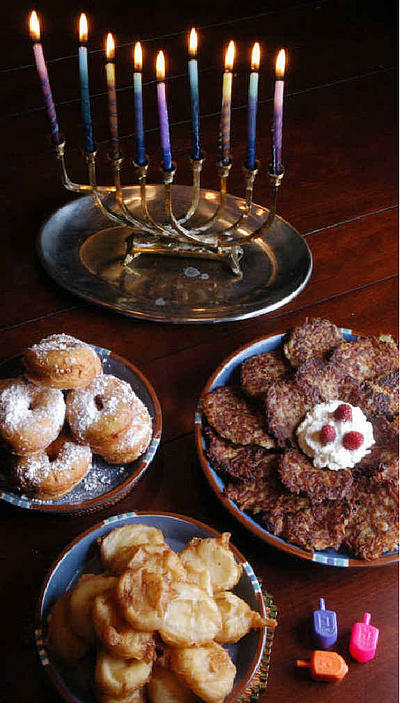 Whether you’re looking for kosher products for your upcoming Hanukkah celebration or just everyday cooking needs, we have a great variety available. Soups – Vegetable soup mixes, split pea soup mixes and more! When you are looking for your favorite shelf-stable kosher product, stock up at BuyTheCase.net. Ordering items in bulk and online saves you time, money, and headaches! Allen’s Veggies. Have you heard of them? Allen’s Cut Italian Green Beans and Allen’s Italian Kentucky Wonder Style Green Beans. If you haven’t heard of Allen’s Veggies maybe you have heard of Princella Sweet potatoes. Or maybe Veg-All Mixed Veggies. The Allen’s Vegetable Family has even more brands than just these. Check out their website, www.Allens.com for them. You can also find great recipes on their website like Baked Spinach & Asparagus using Popeye Spinach! A blast from the past! 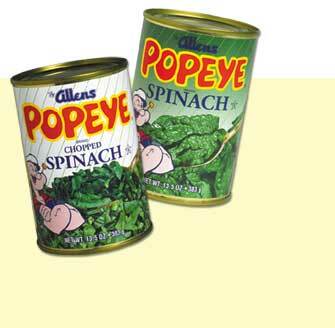 My kids only tried spinach because it was Popeye Spinach. Maybe your kids will try it too! 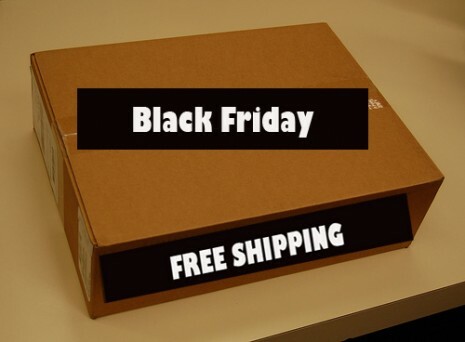 Free Shipping On Black Friday! Starting this Friday, 11/25/2011, at 12:00 am ET til 11/26/2011 at 12:00 am ET, BuyTheCase.net is waiving any shipping fees when you add $50.00 or more of cases into your shopping cart. This is our first Free Shipping Flash of the holiday season so be sure to check out the savings while you enjoy the turkey leftovers! With the problem of childhood obesity growing so heavily in the recent years, it’s important to make healthy decisions that teach our children how to lead by example. Now more than ever, it’s important to look at labels and make healthy decisions. At home, I like to allow my daughter to help decide what to put in her lunchbox every day. I’ve found a product that my daughter loves and she thinks she is getting a sweet treat. Did you know Little Hug juices are not only gluten-free, but have 75% less sugar than leading fruit drinks? These convenient juices only contain 2 grams of sugar. Another leading brand that I compared it to had 24 grams of sugar! Needless to say, grabbing a case of these at BuyTheCase.net is not only beneficial to my wallet, but it’s a healthy juice option too. And that makes me and my daughter happy!